When you say romance, what strikes your mind right away? Italy!! Italy, a true romantic getaway for lovers, holding artistic treasures from all periods is also known for its tattoo art. 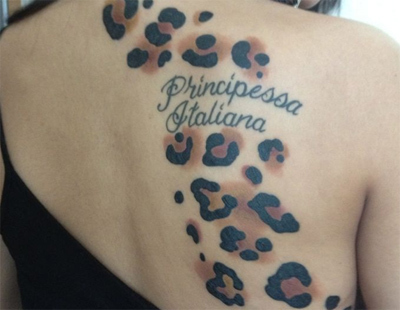 Italian tattoo for girls are a special set of designs as they do not restrain themselves to any style. 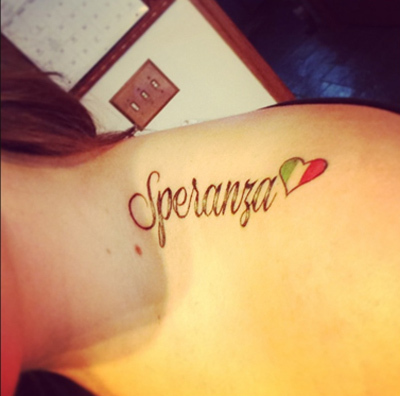 Here are some unique Italian tattoo ideas for those who want to make a style statement by flaunting Italian tattoos, one of the Romantic languages in literature. 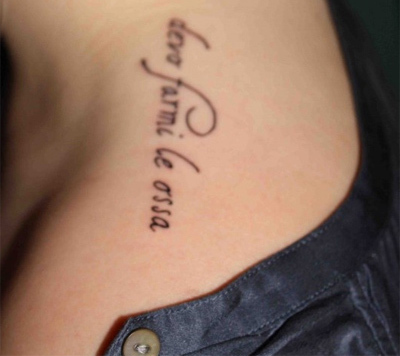 Popular in Europe, it is known as the language of love and has been very popular in tattoos. If you are romantic at heart we’ll bring you up the language of Italy that is fluid, melodious and magical. This will give you clear idea, why romantic phrases in the Italian tongue are so popular among lovers and people in relationships. 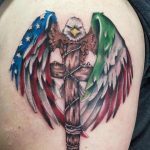 Here we present the top unique Italian tattoos that find great favor with body art lovers. Heart over mind? Or mind over heart? For all the romantic people out there, the choice is the former, always. Written in a cursive font with a little red heart at the end, it is most suited for the arms. 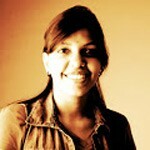 “Follow your heart” is a powerful quote that reminds you which choice to make when conflicted. 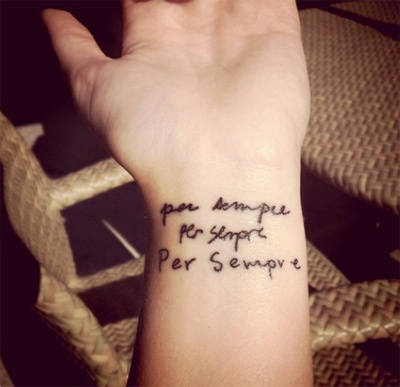 This is the perfect tattoo for all the times when darkness consumes you and you are broken. “I need to make my bones” literally means starting over from an empire of dirt, after having lost all things worth any value. It is motivational, and helps you pick yourself up. This font is simple and elegant, stating a simple fact. In a time when society is often wont to drop dogmas and bind one with shackles, the suffocation often reaches a peak and the rebels break out in protest. This tattoo is for the drifters and free thinkers who are unbound, both mentally and spiritually. The font is a clear cursive, and in lowercase. This one translates to “Hope” is English. 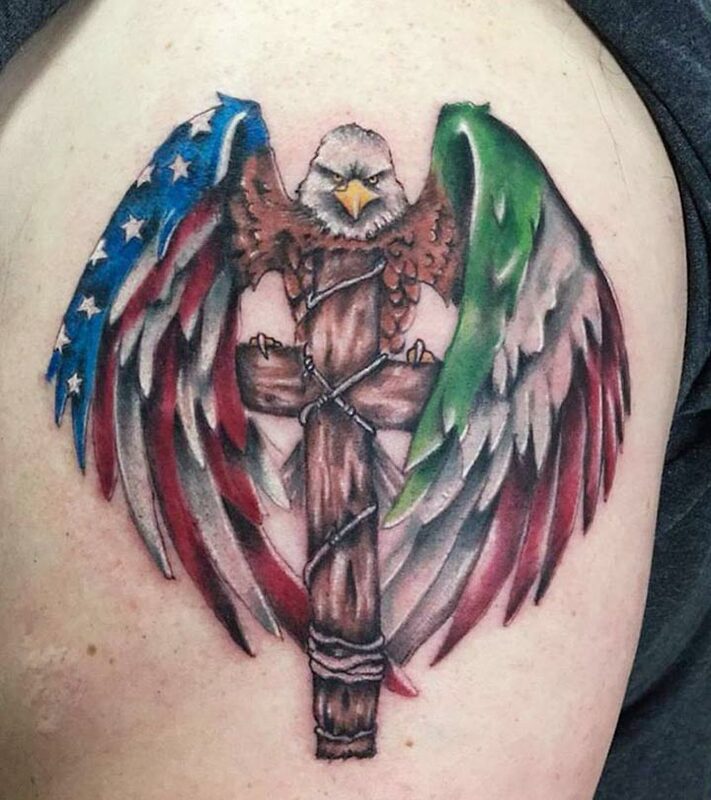 The font is shaded and the word ends with a little heart that is filled in with the tri-colors of the Italian flag. It is delicate yet powerful. For those recovering from heartbreak, after being cheated and cheated on by a loved one, this tattoo reminds one not to dwell in the past but to move on with the future. Indeed, the best revenge is in living well. 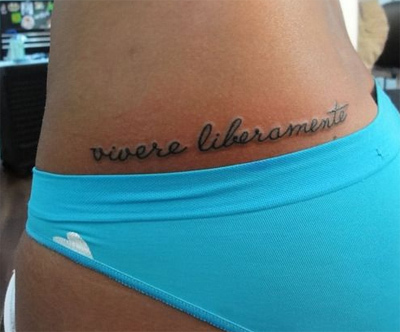 The calligraphy for this tattoo is intricate with lots of curves and loops that give it a definite shape. This tattoo is meant for the love struck couples. 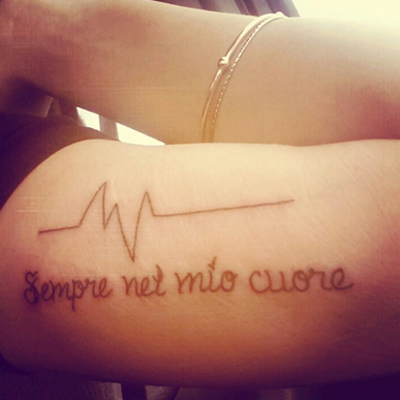 It inscribes the letters “forever in my heart” under a pulse line that shows the heart beat. It is very romantic and a very special tattoo to get for a loved one. Family always comes first for blood is thicker than water. This tattoo shows “For always” inscribed in three handwritings-of the mother, the father and the sibling, symbolizing eternal love. 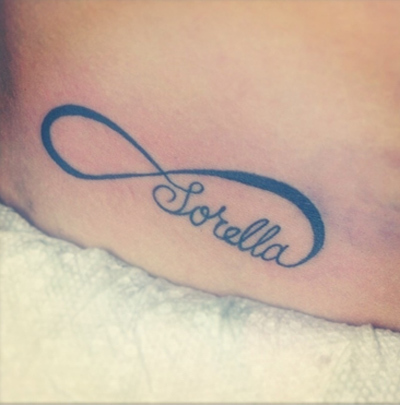 Sorella in Italian means “Sister.” This tattoo shows the word inscribed in the loop of an infinity sign, symbolizing eternal love. It can be got in pairs, so that both sisters can have matching tattoos! Written in a simple font with a tilt to the right, this quote reminds us that each one of us is special and born with an inner light. We must never hide but let our light shine. So go get it inked! 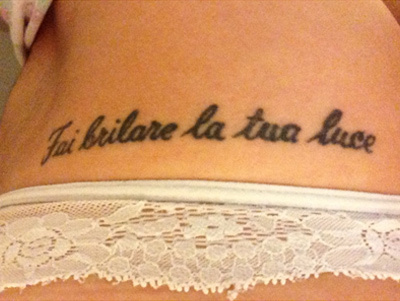 This tattoo translates to “Italian Princess” and is a reference from the Italian movie ‘Life is Beautiful’. The quote is in cursive, with cheetah spots in brown and black that surrounds it, giving it a very colorful look. 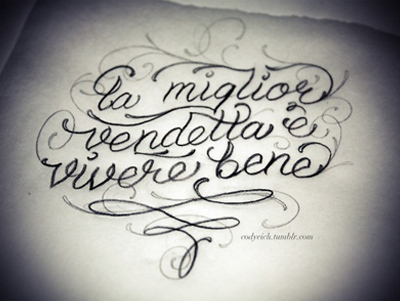 With so many lovely Italian word tattoo designs depicted here, which one do you think you’d like to go in for? Do share your views.